Faithful readers of this blog know that its focus is nearly 100% on the life and music of French composer Florent Schmitt. However, occasionally we “relax the routine” to present a different sort of musical topic. Back in 2013, one of those articles was an interview with the Italian pianist and author Alberto Nones about his newly published book on Giuseppe Verdi (coinciding with the bicentennial anniversary of Verdi’s birth): Ascoltando Verdi: Scrigni di Musica, filosofia politica e vita (Listening to Verdi: Shrines of Music, Political Philosophy and Life). The book approached its topic differently than the usual biographical volumes that are published about musicians. Instead, it revealed the persona of Verdi through the 26 operas he created over his lengthy career. In so doing, readers come to know Verdi in a fresh and different way. And since the trajectory of Verdi’s life paralleled the struggle for Italian unification and independence, the musical and the socio-political factors were inextricably combined. While he and I share the same family name, more important and relevant is that Alberto Nones is both a musician and a scholar. After studying piano performance in conservatory, he went on to earn a Laurea degree in Philosophy from the University of Bologna … then a Master’s degree in Political Theory from the London School of Economics … then a Ph.D. in International Studies from the University of Trento … then became a visiting fellow at the University of Cambridge in the U.K. and being named a Fulbright Scholar as well as a 2009-10 Olin-Lehrman Postdoctoral Fellow at Princeton University. Following his Verdi success, Alberto Nones is back with a new biography – this time on the life and work of the Italian composer Riccardo Zandonai (1883-1944). 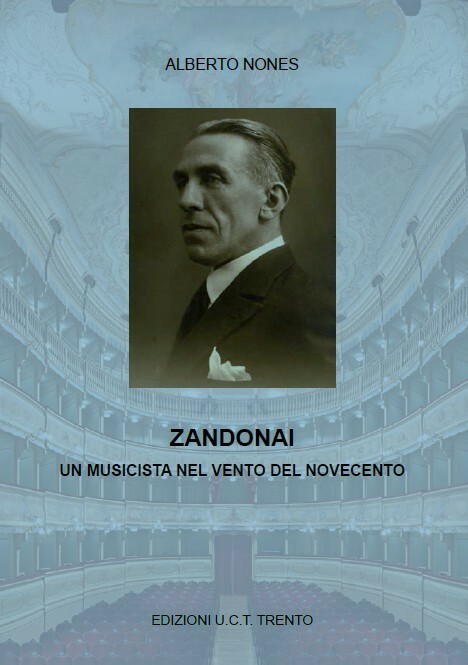 In writing this new volume, titled Zandonai: Un musicista nel vento del Novecento (Zandonai: A Musician in the Crosswinds of the Twentieth Century), the author has taken his customary-yet-unique approach to biography and applied it to this composer as well. In something of a parallel to Florent Schmitt, who has long been known for one work in particular (La Tragédie de Salomé), Zandonai has encountered a similar fate: He is considered essentially a ‘one work composer’ (the opera Francesca da Rimini) even though he was the creator of numerous operas, choral pieces, orchestral works and chamber music. Because the new book has not yet been published in an English translation, I asked Alberto Nones to share his perspectives on what he discovered about the composer while researching and writing about him, for the benefit of the many non-Italian speakers who read the Florent Schmitt Blog and whose love for classical music extends well beyond Paris of the early-to-mid 20th century. PLN: How did you first become interested in Riccardo Zandonai, and why did you decide to write a book about him? AN: The composer Riccardo Zandonai was born in the Trentino region of Italy, which is also my home. Along with Francesco Antonio Bonporti, he is considered ‘the’ Trentino composer. But since Bonporti was a 17th century composer, Zandonai is much closer to us in time – and a witness and participant in the major events of the first half of the 20th century. And yet, even in his home region, Zandonai is known more by name rather than through true knowledge of his life and music. This is why I became interested in studying more about him and then writing this book. PLN: Would you characterize the book as a ‘standard’ biography, or did you take a different approach? AN: To me, music is one of the most fascinating manifestations of the human spirit. It is also intertwined with history, rooted in it — and finally transcends it. Music is bound to society and the world of interconnected human beings who lived in a certain context. But also, music seems at times to float over it, and it also speaks to people who haven’t shared the same experiences. My book does follow the sequence of the most important events and circumstances that affected Zandonai’s life, but it also expands on the historical and cultural context. In it, I seek to speak about the man and composer as if he were, in a sense, our contemporary. Indeed, we are all connected, in a way that goes beyond the limits of time and space. PLN: In your view, does Zandonai have any unique or singular ‘claim to fame’ as an Italian composer, or as a composer of operas? 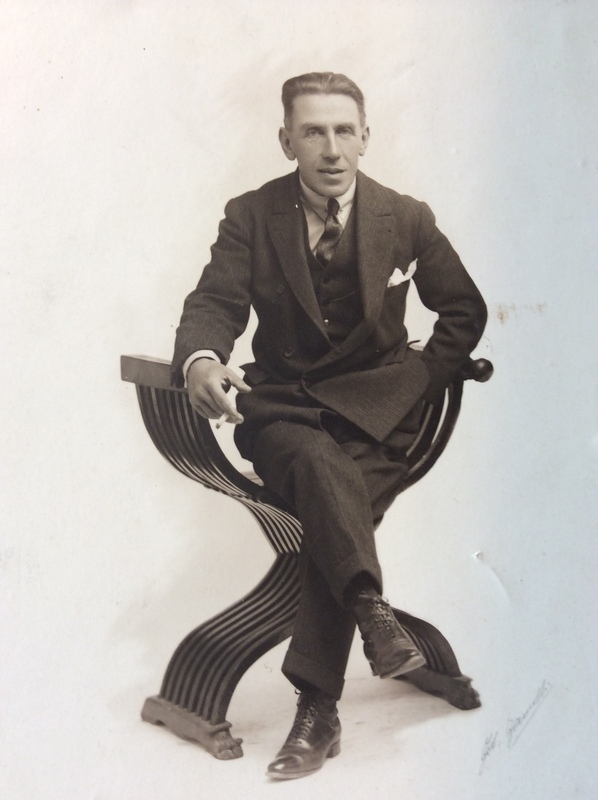 AN: Zandonai was born in 1883 and died in 1944. He became famous for his operas in the early 1910s, being acclaimed as the heir to Puccini. He was then active, more or less, for the following three decades. Two things are particularly noteworthy regarding this period. The first is the historical dimension: Zandonai lived through two world wars and also through the rise and fall of a totalitarian regime in Italy. The second aspect is decidedly cultural: Zandonai wrote operas during a time when the operatic form was being gradually but steadily surpassed by other forms of art, particularly the cinema. The question is what kind of operas Zandonai was writing under these circumstances. I try to shed some light on that question in my book, showing also how Zandonai didn’t limit himself to writing operas solely. He also composed some noteworthy orchestral pieces and chamber works. One example is the wonderful Quadri di Segantini. Another is one of his most thoughtful compositions: a chamber music piece, the Trio-Serenata that he composed in the final year of his life. It was in 1944, when Italy was torn asunder by the civil war and Zandonai’s beautiful Villa San Giuliano in Pesaro was occupied by German troops. It was a time in which not only the world of opera, but an entire vision of a world order, was seemingly collapsing — albeit with some small signs of hope for the future. PLN: Of the various operas Zandonai composed, which one or two do you feel are the most important – the ones that deserve to be programmed most often? AN: The only Zandonai opera that is still programmed today is Francesca da Rimini. It’s so well-known that it was actually staged at the MET Opera in New York City recently. Composed in 1914, it is Zandonai’s acknowledged masterpiece and still deserves to be seen and heard. Based on verses by Italian poet Gabriele D’Annunzio, it sets to music the poignant story, famously recounted by Dante in his Commedia, of the doomed love between Paolo and Francesca. The style of the music in this opera falls somewhere between Wagner and Debussy (as unusual as that combination may seem), along with the presence of Verdi and of verismo, too. PLN: Do you have a personal favorite among Zandonai’s operas? AN: Zandonai wrote far more than just one opera, and so perhaps it’s his curse to be associated only with Francesca. One of my favorite Zandonai operas is Giulietta e Romeo, a work which presents the Shakespearean story by ‘re-imagining’ it though its original Italian, Veronese matrix. Consider this: In a sublime moment in the opera, when the equivalent of a newspaper boy of the time sorrowfully announces that Giulietta would be dead, such news is sung in Veronese dialect. It’s quite sophisticated on the part of Zandonai’s librettist, Arturo Rossato — and wholly appropriate. What follows this hypnotic, suspended aria in Veronese dialect is Romeo’s furious ride, powerfully evoked by the orchestra. An evocation, not a description – because again, as always with Zandonai, matter and dream are mixed, confused or disembodied. Once, just before coming to the podium when he was to conduct the piece, the composer himself emphasized to an interviewer that his music was not just descriptive: ‘La tempesta è tutta interiore’ (‘The tempest is inside’), he noted. Personally, I hear and see in this music not so much a horse being launched on the plains, but instead a man being overwhelmed by his destiny. Or even, considering the times (the 1920s), by history. PLN: When you think of Zandonai’s life, are there any particular events, or experiences he had, that you find particularly interesting or noteworthy? 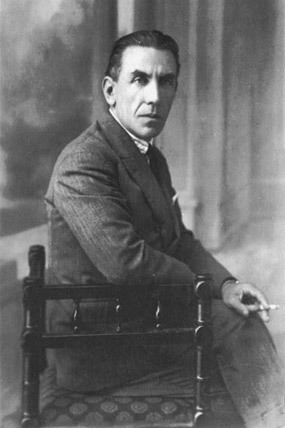 Riccardo Zandonai, photographed at about the time of the completion of his most famous opera, Francesca da Rimini. AN: To me, one of the most interesting aspects is his having lived through Fascism. I devote some space in my book to this issue, both in the main text and the endnotes. Interestingly, the bulk of the Italian scholarship on Zandonai so far has sort of skirted the issue of his relationship to Fascism, but it was covered in greater depth in the English biography by Konrad Claude Dryden. My own conclusion is this: On one hand, Zandonai strived to be recognized by the ‘system’ – which meant those in power. He was a composer of operas, and opera composers famously need to rely on commissions in order for their works to be successfully mounted. Thus, his need to cultivate good relations with theaters, government officials, politicians and so forth. But Zandonai did this awkwardly and with inconsistent success. He relied more on a friend, Nicola D’Atri, who served as his public relations person. 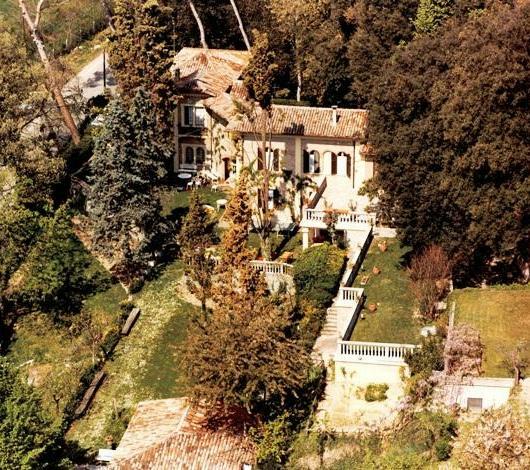 Villa Zandonai, the home of Riccardo Zandonai in the seaside town of Pesaro, Italy which is also the native city of Gioachino Rossini. Reportedly, Zandonai personally supervised the expansion of this Art Nouveau structure surrounded by parklands designed and planted by him and his landscape architect. Zandonai’s wife, the soprano Tarquinia Tarquini Zandonai, wrote that she, the Maestro and their daughter spent “years of true, authentic beatitude” there. Villa Zandonai is currently for sale and is sparking international interest — a rare opportunity for lovers of opera and classical music as well as fine architecture to possess an important piece of cultural history. In complete contrast, D’Atri was ‘in the arena’ at all times as Zandonai’s learned and skillful collaborator and publicity person. Here’s an example that will be of particular interest to readers of the Florent Schmitt Blog: In one of his letters written to Zandonai in 1935, D’Atri mentions ‘the musician Florent Schmitt, who hasn’t missed this other occasion for teasing Respighi’ – the occasion being an article Schmitt had written about Stravinsky in the Parisian newspaper Les Temps. The letter was written by D’Atri just as he had been informed of the positive reception of Zandonai’s opera La farsa amorosa in Paris. Concerning Zandonai’s relationship with the Italian Fascist regime, we encounter a kind of contradiction that’s not unfamiliar to many if not most Italians of the time: a mix of displeasure with (or even revulsion against) the regime along with a shared responsibility for creating and maintaining it. Of course, what counts most for musicians is not any clumsy attempts at gaining the favor or stubbornly criticizing the politicians of their day. Rather, it’s the music they left us. PLN: What sort of reception has your book had since its publication? AN: I published my book on Zandonai with a small, meritorious publishing house of Trento, with the intention of sharing knowledge on the composer in his home region, as well as to expand the circle of Zandonai enthusiasts. The recently restored Teatro Zandonai, Rovereto, Italy. This being said, Zandonai, who was born near Rovereto, would move to Pesaro where he actually spent most of his life. Nevertheless, his home region did not forget him. 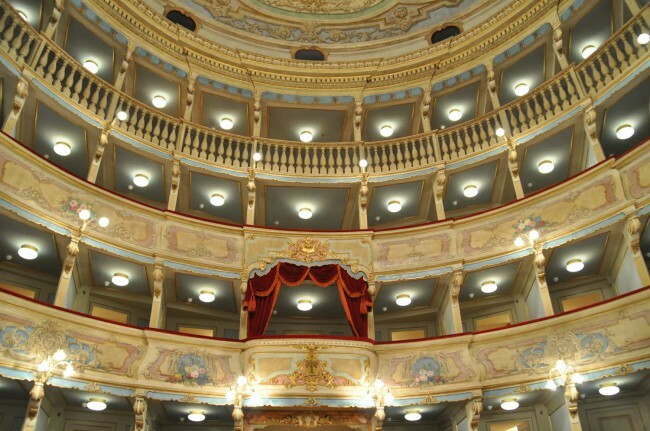 Indeed, the main theater of Rovereto, dating from the 18th century and today named after Zandonai, reopened in 2014 after several years of a major, no-expense-spared renovation. The Teatro Zandonai is now able to host large productions. Coincidentally, 2014 was the hundredth anniversary of Zandonai’s opera Francesca da Rimini and the seventieth anniversary of the composer’s death. PLN: Through presentations or interviews, have you had opportunities to speak about your book and the research that went into creating it? AN: Attention to my book on Zandonai is only part of the picture; attention to his music is what counts more. Thankfully, more musicians are rediscovering and presenting his music – and not only his operas. Just to mention several recent examples, the Zandonai Ensemble (a chamber orchestra based in Trento) has made a double CD recording devoted to the composer’s chamber music and pieces for small orchestra. 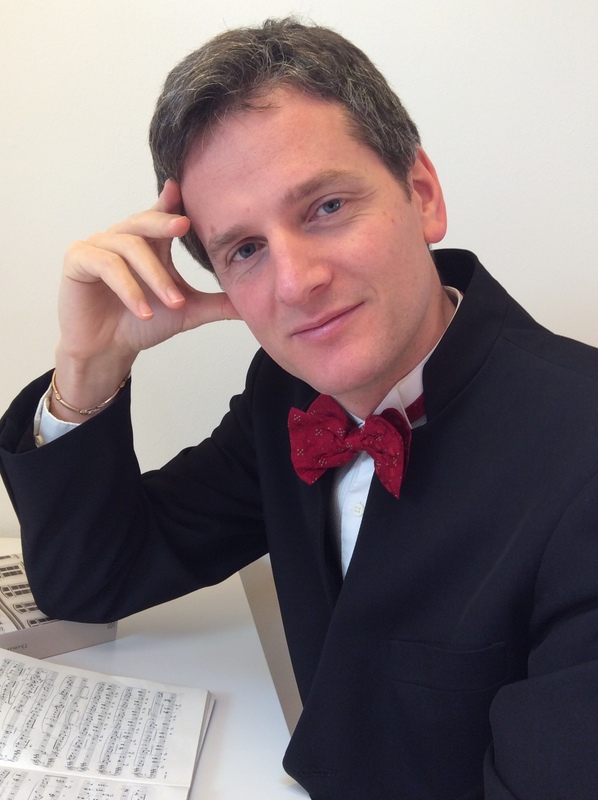 The Italian pianist Diego Massa has recorded Zandonai’s complete piano works. For my part, I too am making a contribution. Besides writing the book, I prepared a program focused on the life and work of the composer for the Trento branch of RAI, the Italian national radio and TV network. I have also prepared a stage presentation in which I talk about the composer and an actress reads excerpts from my book. A major part of the presentation is devoted to my playing selections of Zandonai’s music on the piano. This show presents Zandonai’s life through his music, which also illuminates some of the more momentous aspects and events of the 20th century. As one example, in the show we present three pieces for choir — Inno degli Studenti Trentini (1901), Alla Patria (1915), and Requiem (1916) – which together resulted in Zandonai receiving a sentence for High Treason by the tribunal of Innsbruck in 1916. It helps us remember that the town of Rovereto, although ethnically Italian, was actually part of the Habsburg Empire (Austria-Hungary) for 100 years until the end of World War I.
Zandonai — legally speaking an Austrian citizen – had committed the crime of writing ‘irredentist’ music. In the event, the composer’s house was confiscated, his possessions looted, and even his damaged piano was found dumped in a war trench on a mountainside overlooking Rovereto. PLN: Now that you have completed major books about two important Italian operatic composers — Verdi and Zandonai — what’s next for you? Do you have any new scholarly works in development or are you concentrating more on stage performances? AN: I am concentrating on performances right now, plus a piano recording project is in the pipeline. The ‘scholar’ in me loves to research and write about music, and to speak about its spirit and its history. However, writing books and lecturing only accomplishes so much. After all, music is only truly alive when it is being played! We are fortunate that scholars like Alberto Nones have devoted time to research and write about not only famous composers such as Verdi, but also less familiar artists like Zandonai. They may not be as famous … but that doesn’t mean they didn’t create beautiful, worthwhile music. This entry was posted in Chamber Music, Classical Music, Composers, Opera and tagged Alberto Nones, Arturo Rossato, Bonporti, Diego Massa, Florent Schmitt, Francesca da Rimini, Gabriele D'Annunzio, Giulietta ew Romeo, Giuseppe Verdi, Italian Composers, Konrad Dryden, Nicola D'Atri, Opera, Riccardo Zandonai, Rossini, Tarquinia Zandonai, Villa Zandonai, Zandonai. Bookmark the permalink. « Musicians of The Cleveland Orchestra talk about the music of Florent Schmitt and La Tragédie de Salomé.